Watch | Eskom briefs media on its current operational challenges - SABC News - Breaking news, special reports, world, business, sport coverage of all South African current events. Africa's news leader. Eskom is set to brief the media on Thursday afternoon at Megawatt Park. Eskom is currently briefing the media on Thursday afternoon at Megawatt Park in Johannesburg as it struggles to keep the lights on. It is giving an update on its current operational challenges and Minister of Public Enterprises, Pravin Gordhan, is also at the briefing. Public Enterprises Minister Pravin Gordhan says Eskom has come up with a plan which will be updated weekly between now and the end of January with regard to making efforts to keep lights on. Earlier, Eskom announced that it would implement Stage 2 load shedding from 9 o’clock on Thursday morning until 10 o’clock. The power utility says this is due to a shortage of capacity on the national grid and that rotational load shedding will continue in the country until March 2019. Eskom’s debt is reported to have a R419 billion debt. 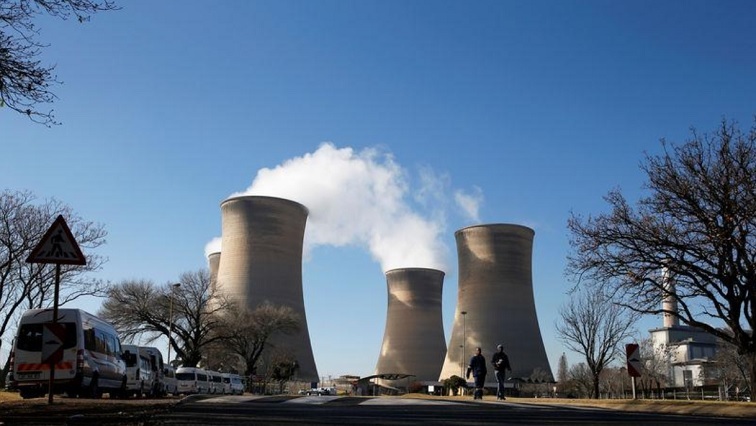 It says it is not selling enough power to cover its costs and wants government to take on about R100 billion of debt as part of a rescue plan. “The new board looked like they were dealing quite well with the finances of Eskom. Part of that is government guarantee which is R350 billion. The guarantee itself doesn’t actually pay the finance cost of the interest on the debt. You may guarantee that if Eskom defaults or is unable to pay, you don’t actually continue to pay. That’s a major, major problem,” says Economist Xhanti Payi. This entry was posted on 06 Dec 2018,02:45PM at 2:45 PM and is filed under Business, News, Homepage Latest Stories Slider, Homepage Featured Story Slider. You can follow any responses to this entry through the RSS 2.0 feed. Both comments and pings are currently closed.